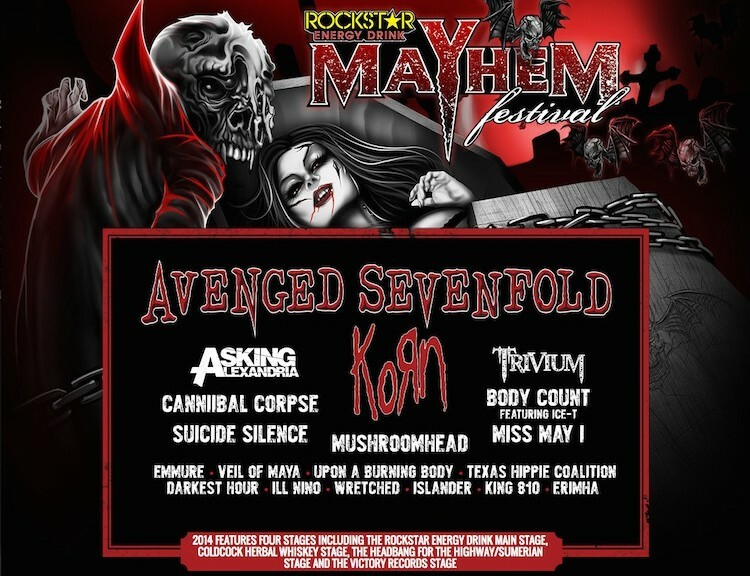 Rockstar Mayhem Festival 2014 | DressCodeClothing.com's Official Blog. I figured I’d post this sooner than later, so you guys can get your tickets early and get ready for the show. And as always, if you’re looking for any band merchandise to wear to the show, you know we’ve got you guys covered on whatever you may need. Let us know if you’re going and also share who you’re most looking forward to seeing in the comments below.